I can tell you just about every spot in Johnson City where I have had a speeding ticket. (Don’t be alarmed … 3 or 4 in 43 years). But every time I am in that specific area, I watch my speed. Do you have those experiences? You have been through other “speed traps” but without incident. So you know about them; they just didn’t affect you. The same phenomenon can be applied to your spine. You have 24 vertebrae, two hips and a sacrum (tailbone). Throughout your life, you have experienced a unique timeline of falls, slips, accidents and stresses that have to some degree (tragically or mildly) adversely altered the joints of your spine. This history brings about a unique “fingerprint” for your spine. Specific vertebrae have been altered while others remain strong and stable. (This is the reason that I put up your X-rays on every office visit). 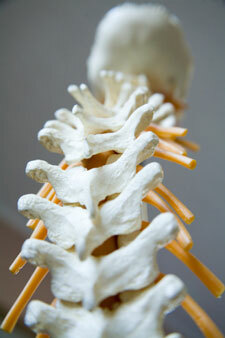 It is the injured vertebral joints that will have to be watched and analyzed in the future even after symptoms are gone. It is their lack of integrity that threatens future relapses.